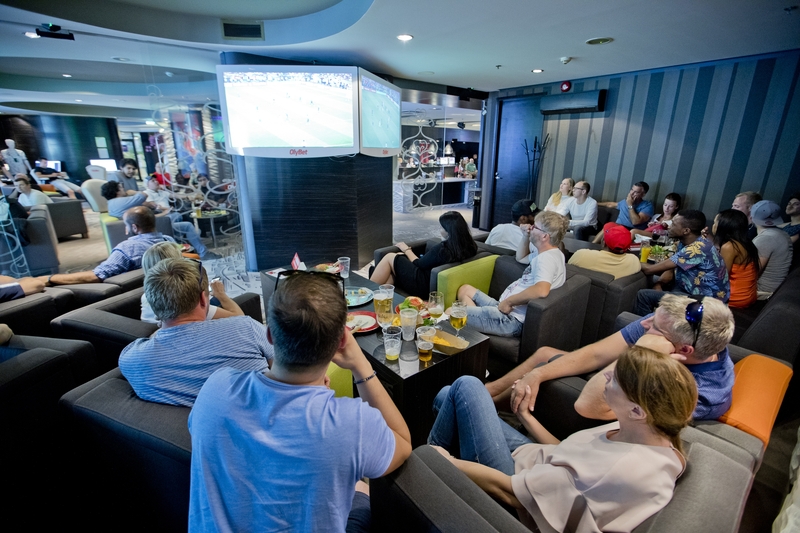 Here in this spacious sports bar area you can have fun watching the best LIVE sports shows and place bets on your favourites. 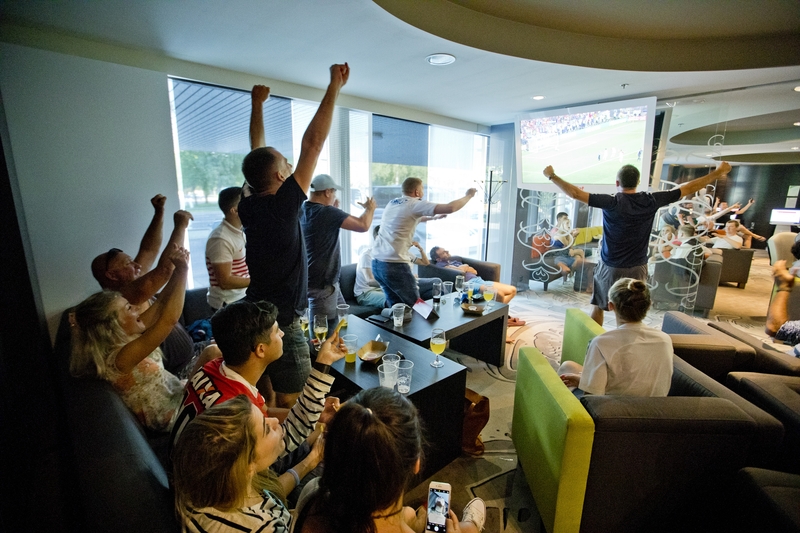 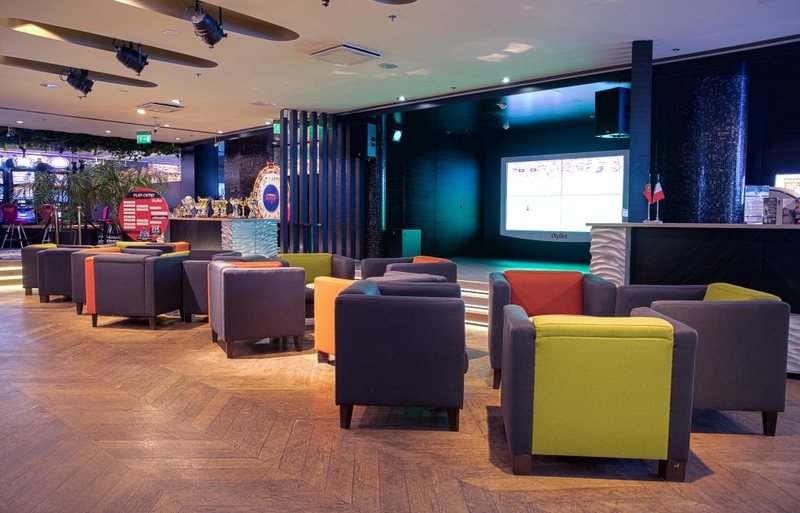 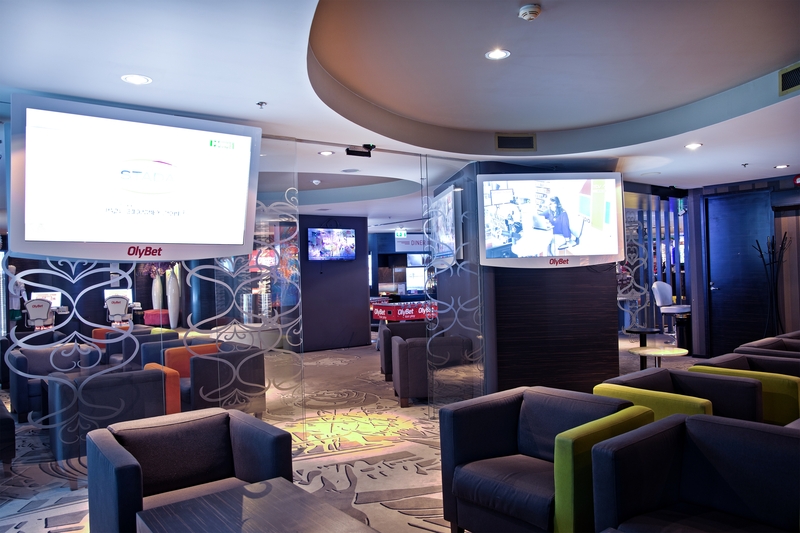 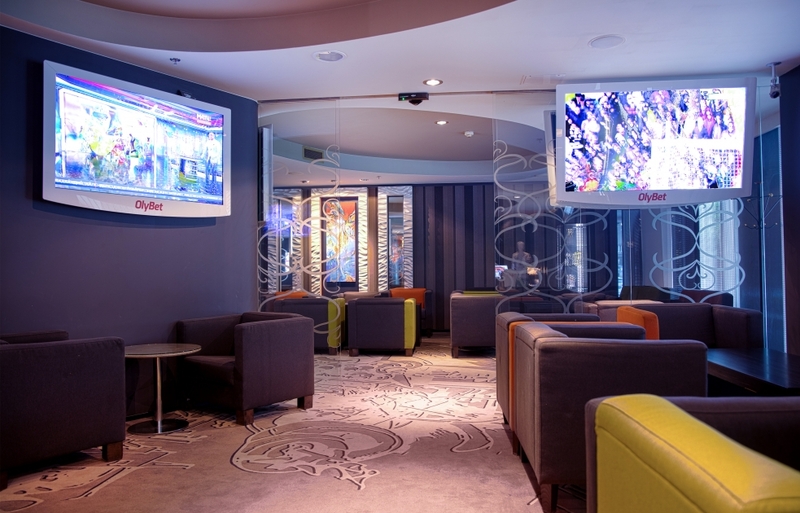 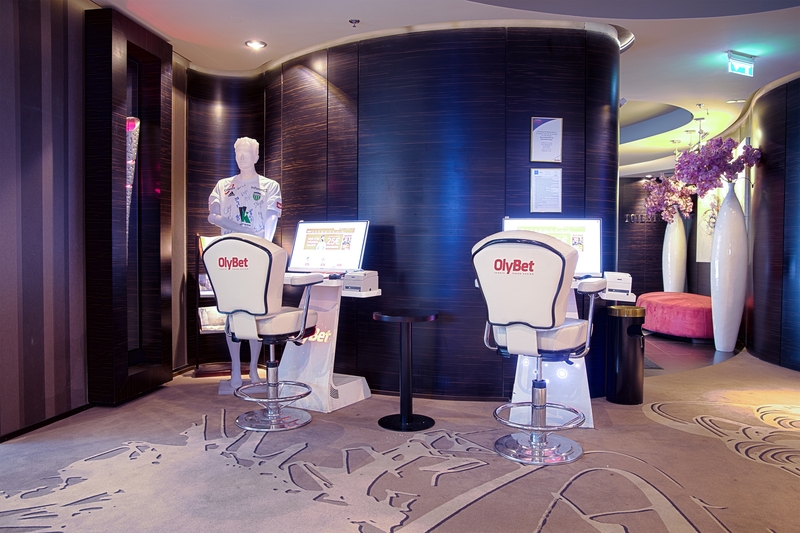 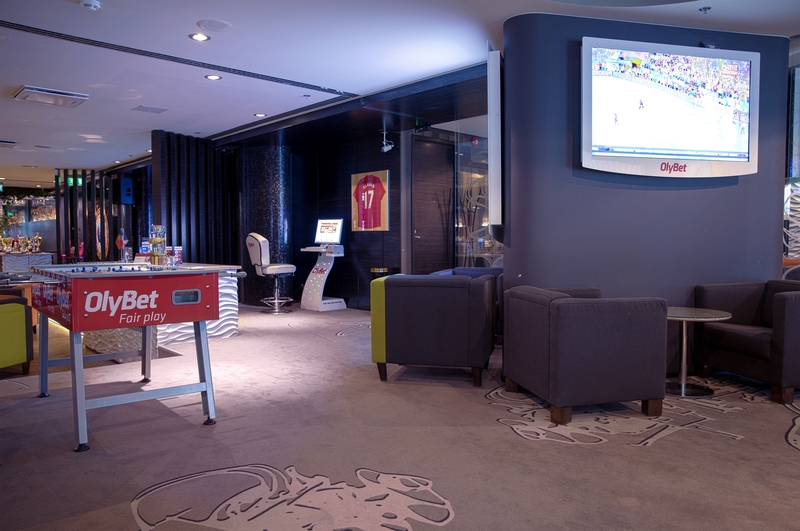 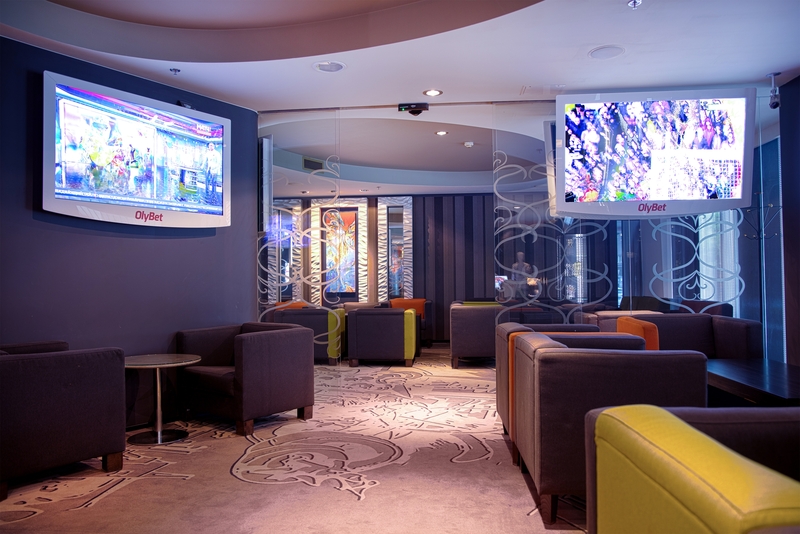 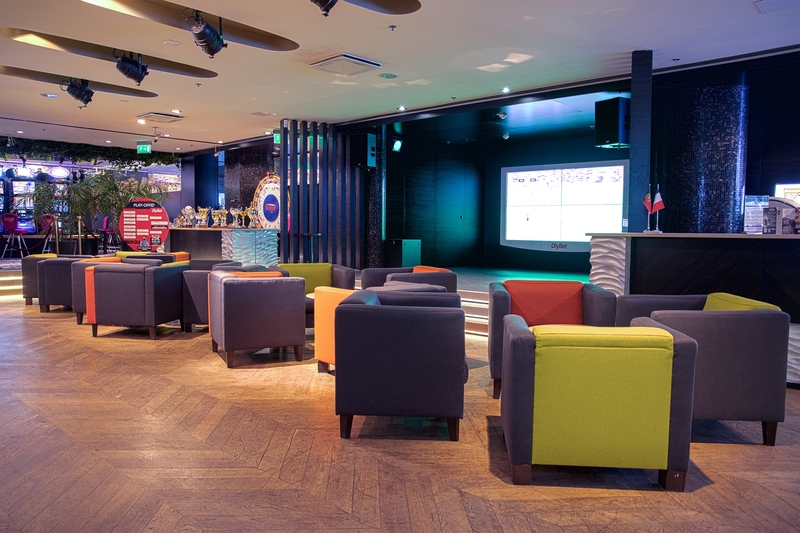 OlyBet sports bar is the only place where you can watch the game while placing bets on it! 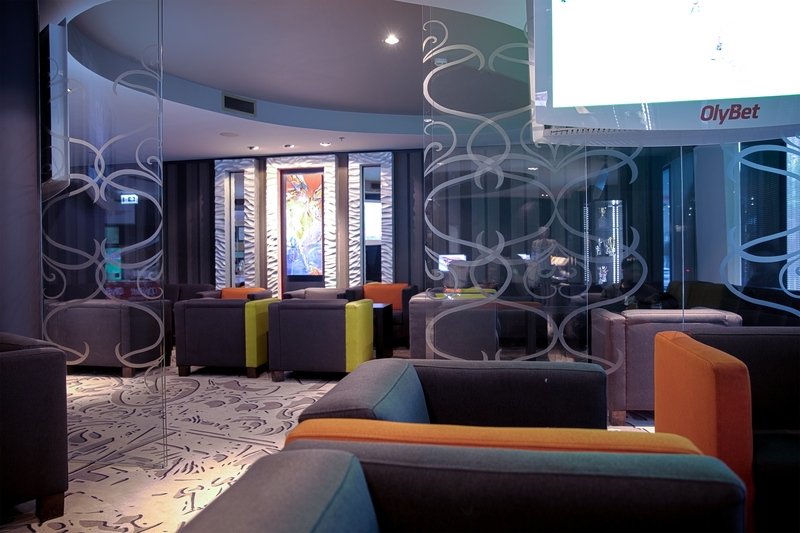 Some of the most favourable bar rates ensure a nice and cosy time. 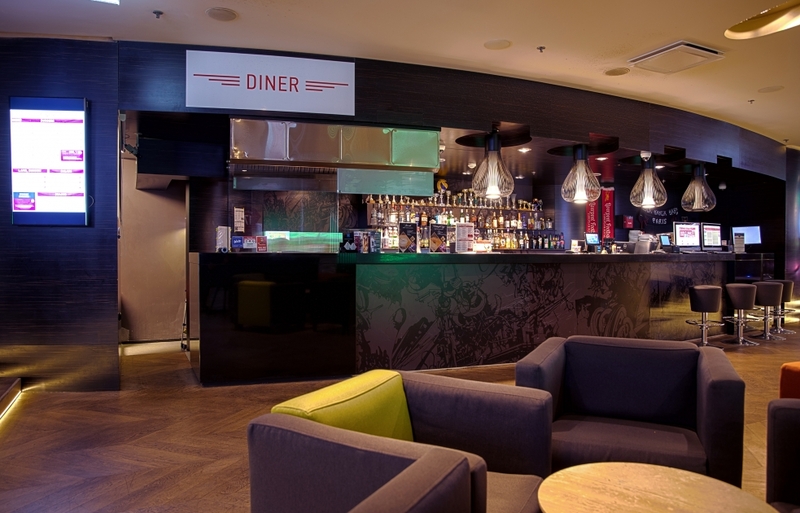 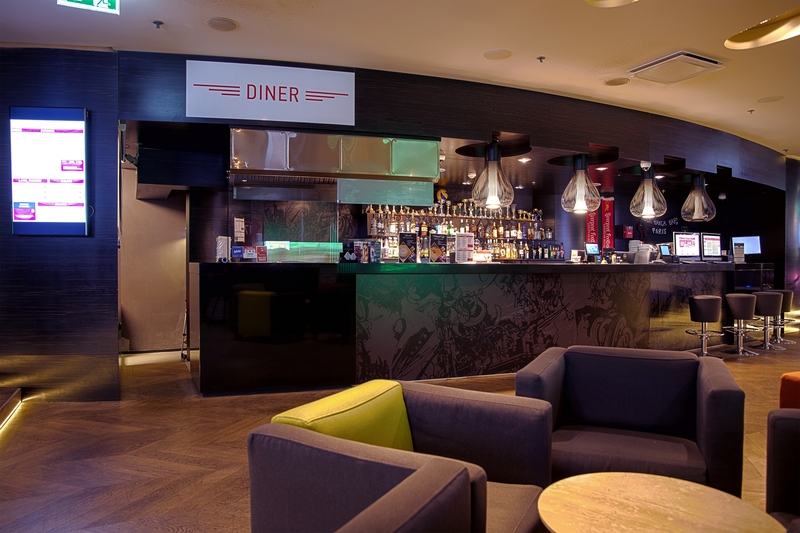 Food is provided by Diner, famous for its delicious burgers and snacks. Before or after the game and during the break you can compare your skills at table football with a friend. 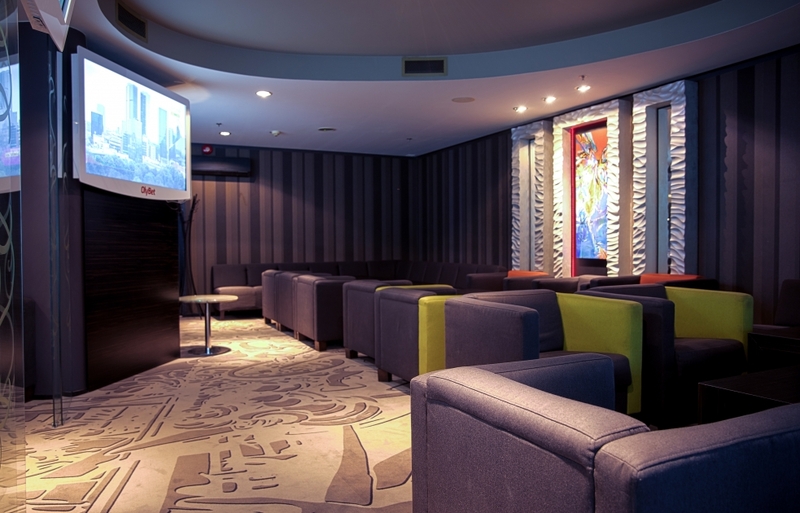 There is room for 70 sports fans and plenty of large screens with sports events for everybody to watch. And the best part – we are open 24/7! 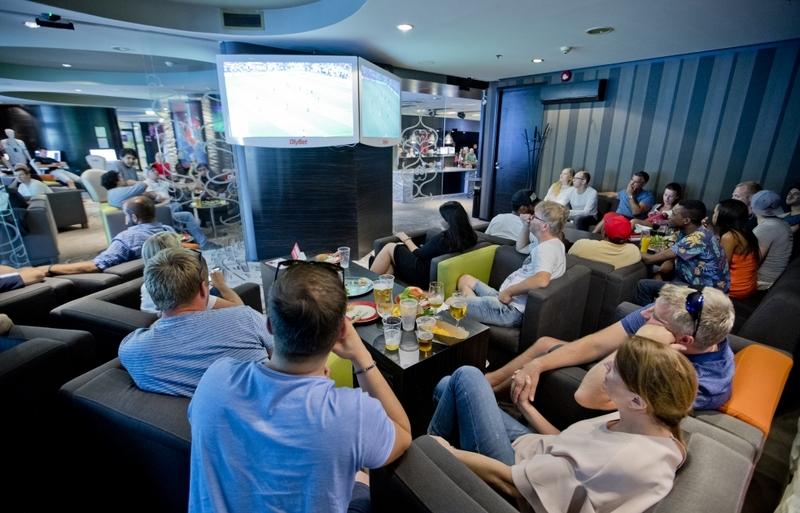 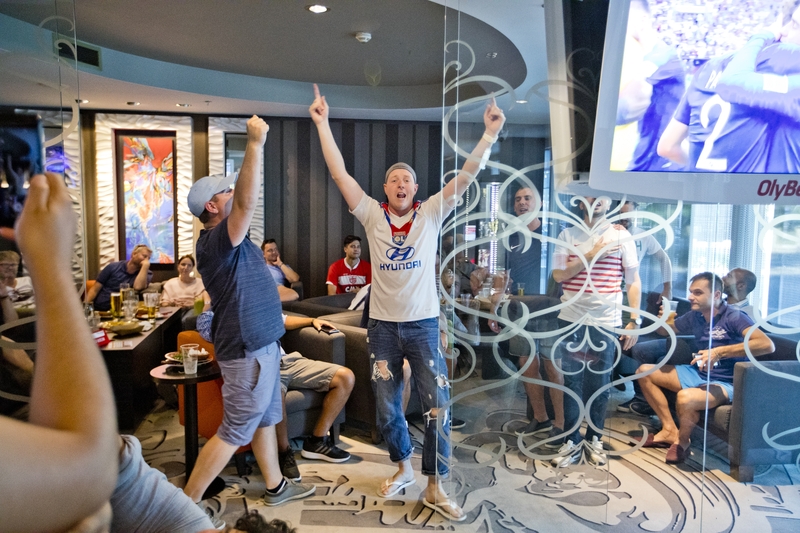 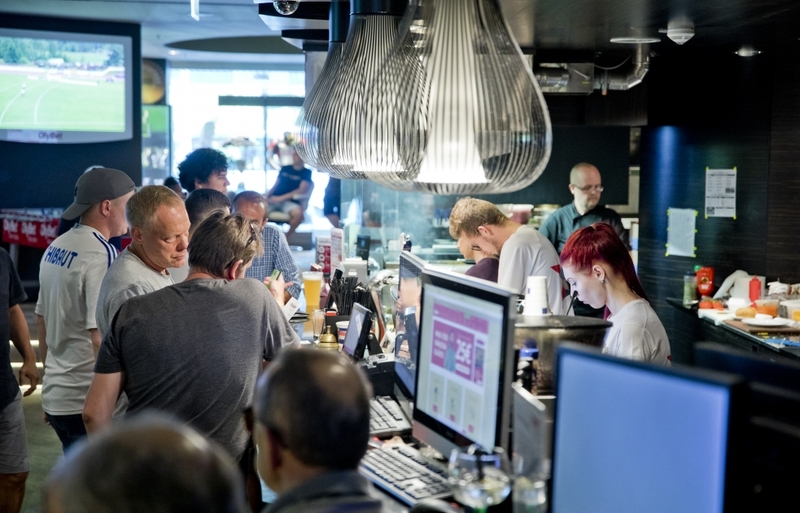 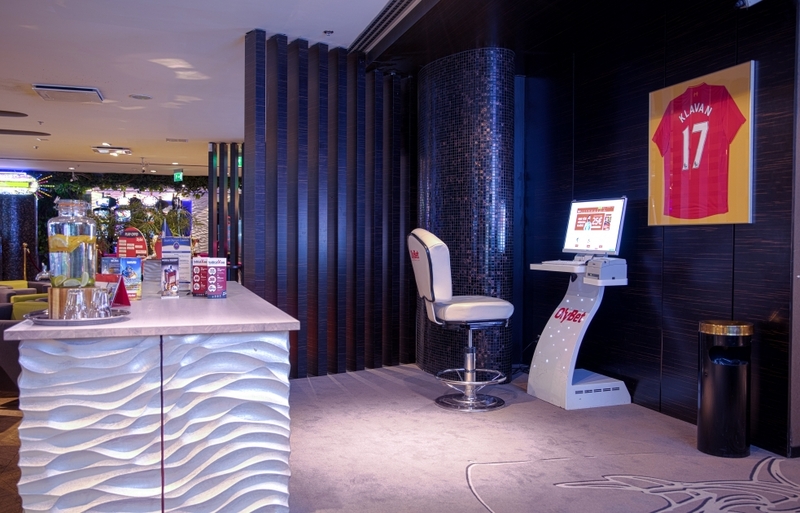 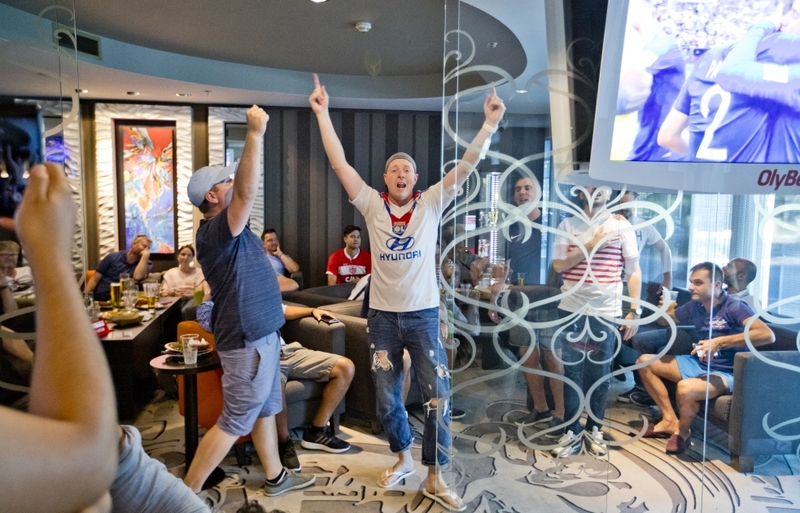 Registration is not needed for the sports bar, but visitors must be at least 18 years old and please bring a personal ID document to place sports bets.